The super rich automotive collectors of this world will soon have one more choice to add to their list as today, Jaguar officially confirmed the limited production of its flashing C-X75 hypercar that drew much attention at last year’s Paris Motor Show. 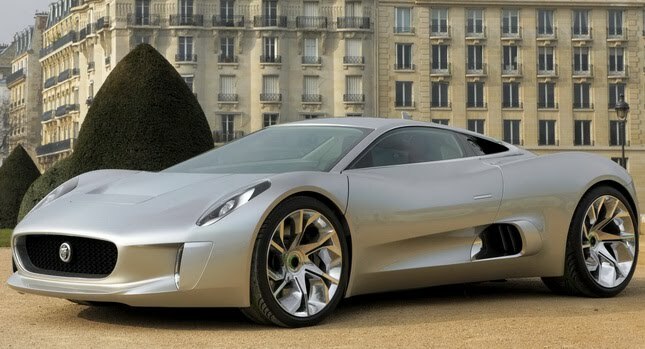 To be developed in cooperation with Williams F1, the C-X75 will make use of hybrid powertrain with Jaguar aiming to have the car on sale in 2013. The British maker said only 250 examples will be built, each costing between £700,000 - £900,000, or US$1.16 million to US$1.44 million at today’s exchange rates, depending on market and local taxes. To have it in the market within a considerable timeframe, Jaguar will replace the jet-powered setup of the original concept with a more conventional, yet still innovative for today’s standards, powertrain comprising of a state-of-the-art, small-capacity, highly-boosted internal combustion engine with one powerful electric motor at each axle offering all-wheel drive capability.